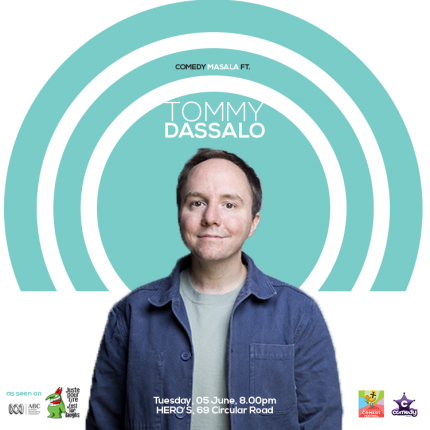 Tommy Dassalo is the co-host of the hugely popular Australian podcasts 'The Little Dum Dum Club' which recently recorded a live show at the Sydney Opera House. He has received award nominations at the Melbourne International Comedy Festival as well as at the prestigious, invite-only Just For Laughs Festival in Montreal and San Francisco Sketchfest. He has appeared on 'Just For Laughs Australia' on The Comedy Channel and 'Tonightly' on ABC, as well as writing for the fourth season of 'Please Like Me'.